Auto-loan delinquency rates in the United States have fallen to their lowest point in at least a dozen years, according to risk management firm TransUnion. The percentage of borrowers who are at least 60 days past due on their vehicle payments fell to 0.36 percent in the first quarter of 2012, TransUnion says. That's the lowest rate since the firm started reporting the data in 1999. Compared with the first quarter of last year, delinquency rates dropped almost 27 percent from 0.49 percent . From the fourth quarter of 2011, rates fell nearly 22 percent from 0.46 percent. "Auto loan delinquencies continue to perform exceptionally," said Peter Turek, automotive vice president of TransUnion's financial services unit, in a statement. 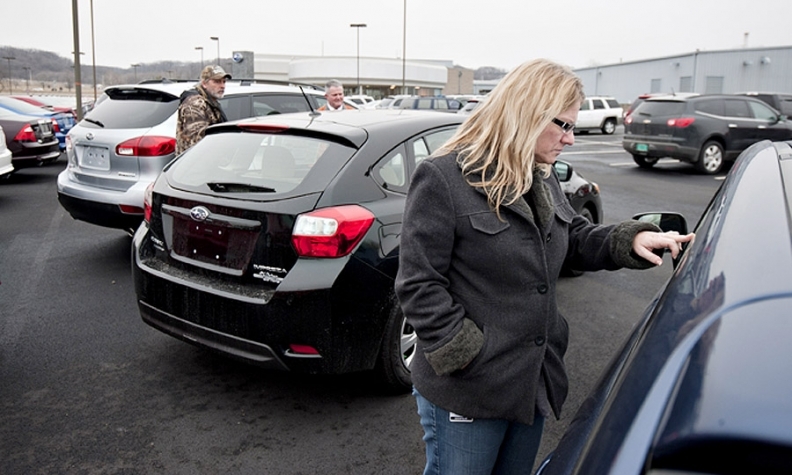 Turek said he expects auto-loan delinquencies to remain low for the rest of 2012 because rising U.S. demand for new and used vehicles has spurred an increase in lending and leasing. Still, Turek cautioned that "a slight increase from this record-low level would not be surprising and should not be construed as a negative event, as lenders continue to originate more loans to consumers across all credit risk levels." Auto delinquency rates dropped in 43 states from the fourth quarter of 2011 to the first quarter of 2012, TransUnion reported. Last quarter, Montana had the lowest loan delinquency rate in the country at 0.15 percent. Mississippi, with a 0.77 percent delinquency rate, was the highest in the nation.